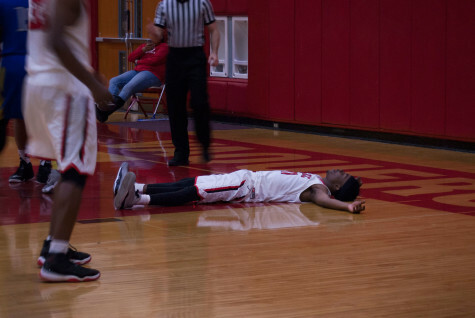 City College Vaquero Drayten Howell (No. 12), and Moorpark Raider Jake Todey (No. 20) make their way across the court on Wednesday, Jan. 25 at the Sports Pavilion. The Vaqueros defeated the Raiders 65-63. 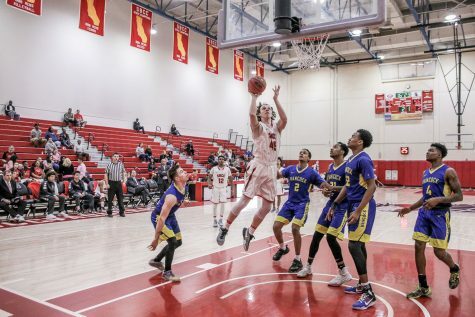 For their second victory in a row, the City College men’s basketball team held off a late-game run from Moorpark College to beat them 65-63 Wednesday night at the Sports Pavilion. 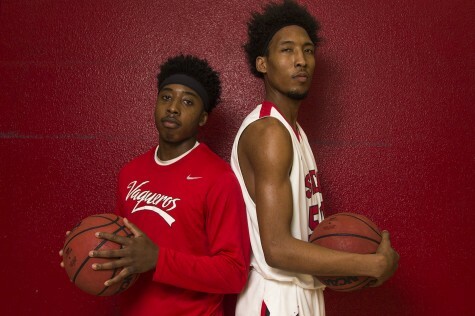 City College got off to a fast 11-0 start. Their strong opening prevented any run that Moorpark attempted. The Vaqueros entered halftime up 38-32 and remained strong throughout the second half. 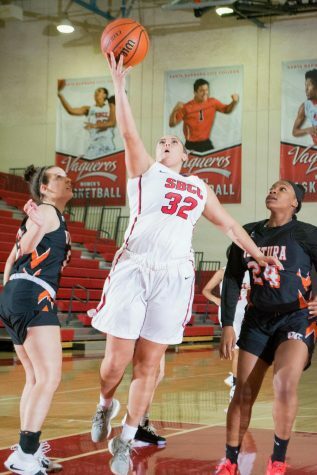 This victory against Moorpark is City College’s fourth win of the season. City College’s defense succeeded in keeping Moorpark out of the paint throughout the game, forcing them to take many missed outside shots. 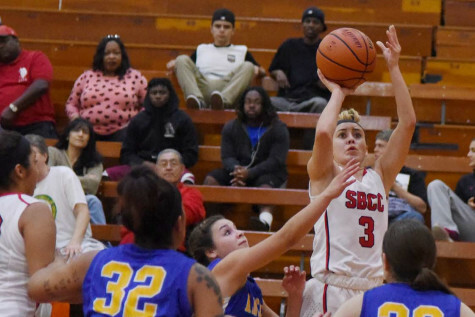 Missed opportunities and excessive turnovers kept City College from pulling off a larger lead. Their plays, however, hit big shots when needed to be made. Tyler Crandall (No.34) dominated the court as he made more than half his shots from the field, grabbed nine rebounds, and assisted four baskets. 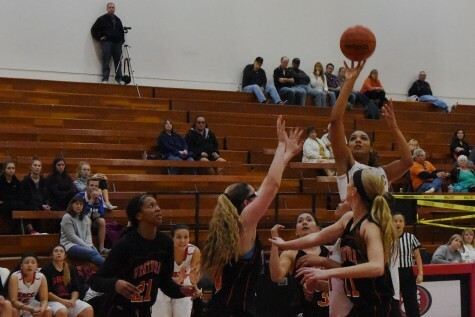 Crandall took three charges in the second half and had two key offensive putbacks. Robert Hutchins (No.15) hit critical shots throughout the second half. His highlights of the game included a corner shot initiated by a great skip pass from Howell. 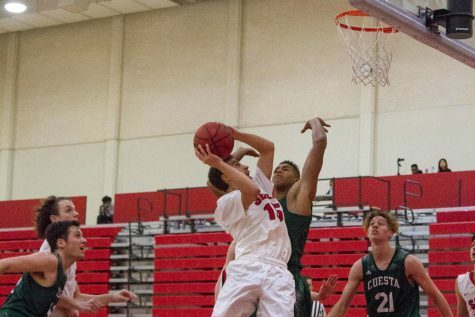 This shot stopped a Moorpark run and forced them to call a timeout. 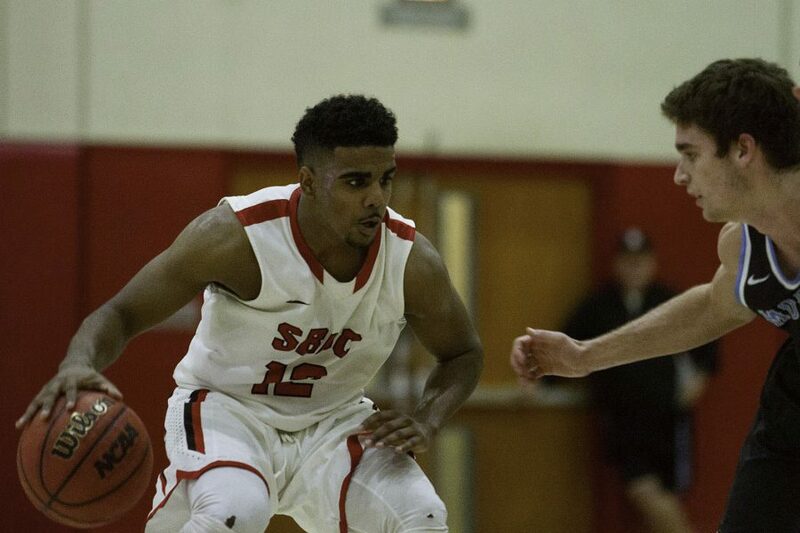 City College gained an eight point lead after back-to-back layups by Crandall and Chris Givens (No.24). This lead went from eight to two due to costly turnovers to Moorpark down the stretch. 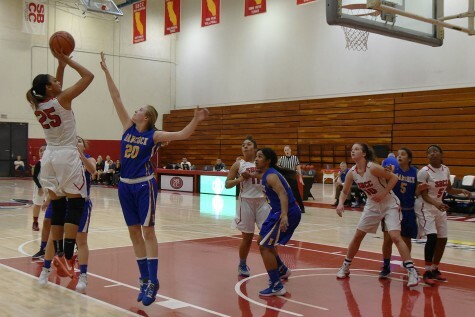 A steal and layup by Howell sealed the win for the Vaqueros with 15 seconds on the clock. He credits the Vaqueros’ win to their hard work on defense during practice. The team has stuck together through this tough season. Their hard work is starting to pay off. 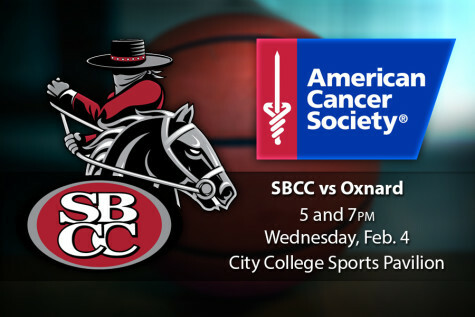 City College will look to continue their winning streak as they travel to Ventura College for their next game at 7 p.m., Jan. 28th in Ventura. 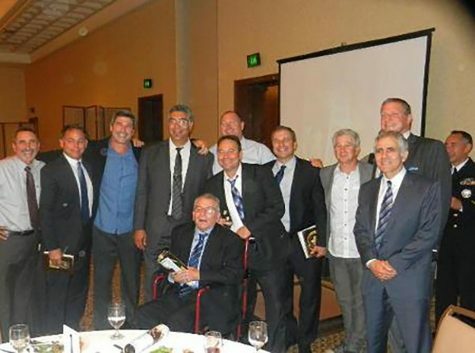 Ventura shares first with Cuesta College.